A page turner. A real thriller. I absolutely could not put it down. Obviously, I was not alone in my appreciation for this book as it was number one on the New York Times bestseller list for eleven weeks. 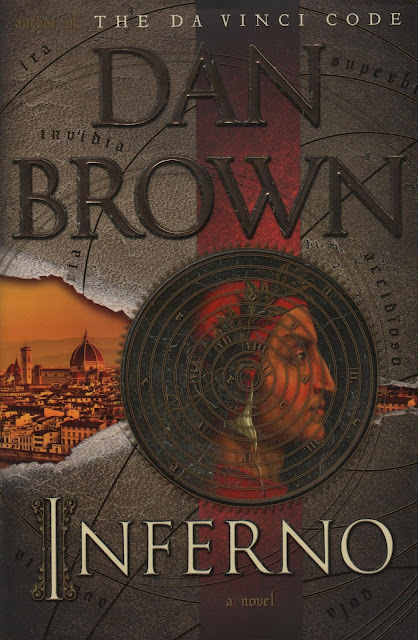 Dan Brown's Inferno is the fourth book in the Da Vinci Code series following The Da Vinci Code, The Lost Symbol and Angels and Demons. In the latest volume, character Robert Langdon awakens in hospital suffering from amnesia. He remembers nothing of the previous days but memory or not, the book erupts into chaos fairly quickly. Langdon is in possession of a special code and discovers hidden parts of Florence and ancient secrets as well as a scientific situation that may improve or devastate life on earth. Inferno is set mostly in Florence with some time spent in Venice and Istanbul. The jacket says that it "is a sumptuously entertaining read - a novel that will captivate readers with the beauty of classical Italian art, history and literature while also posing provocative questions about the role of cutting edge science in our future." I agree. If you are up for an exciting adventure, I HIGHLY RECOMMEND this book. If you are going to Florence, Italy, there is simply no choice. You HAVE to read this book. 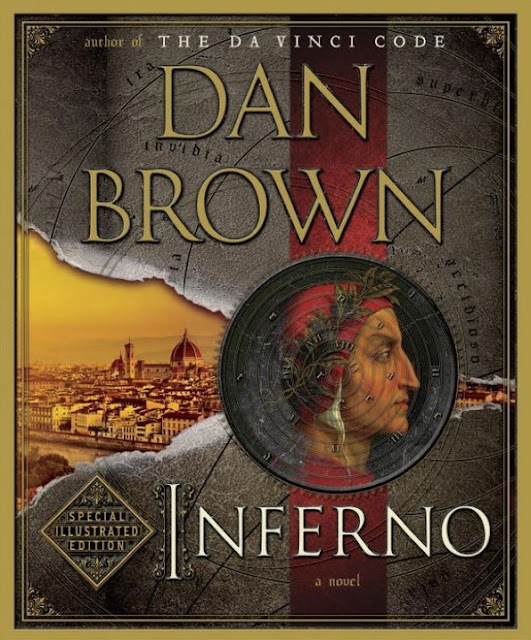 Inferno was but one of the Italy-themed books we read before we had the opportunity to travel to Italy in October and I am glad that we did read it. If you cannot travel to Italy in person, you can do some armchair travelling with the book, which brilliantly explores Florence's Palazzo Vecchio, the Boboli Gardens and the Duomo. Just watching the video makes me want to read the book again and, of course, go back to Italy! If you are interested, you can find all of the versions of Inferno on Amazon here. On a final note, the movie version of Inferno was fine. It was interesting to visit Italy again through the eyes of the movie camera but be warned that it paled in comparison to the book. I also found myself wondering how much one would enjoy the movie if they did not have the knowledge of the story that reading the book gave. This is definitely a situation where the book far surpassed the movie. Please stay tuned for more Italy-themed book reviews. Buy Dan Brown's Inferno on Amazon. Wow, the illustrated version of Inferno is like a trip to Italy itself. Wonderful review of this fascinating book. I agree, Pat. I love what they've done with the illustrated version of the book. This sounds like a great new book for readers who love Dan Brown and his books. An excellent review just in time for those last minute Christmas gifts too! Yes, it is great when an author who has captivated us before does so yet again! Dan Brown is my favorite modern author and having been to Florence 2 years ago I am really pumped to read this book. I have read every book of his in one sitting as I can never put them down and I'm sure this one will be the same experience. Thanks for the reminder and the review. Heather you will enjoy the book without question then and, afterward, you might even enjoy revisiting Florence visually through the movie version. As always, you've captured the spirit of the book in this excellent review, Brenda. What an excellent gift book recommendation, too. I read the Da Vinci Code a couple of years ago, but never got to any of the other books. You have me interested in this one. Great review.